Loved for their versatility and timeless style, the Bomber Jacket is a firm fashion favourite and autumn wardrobe must-have. 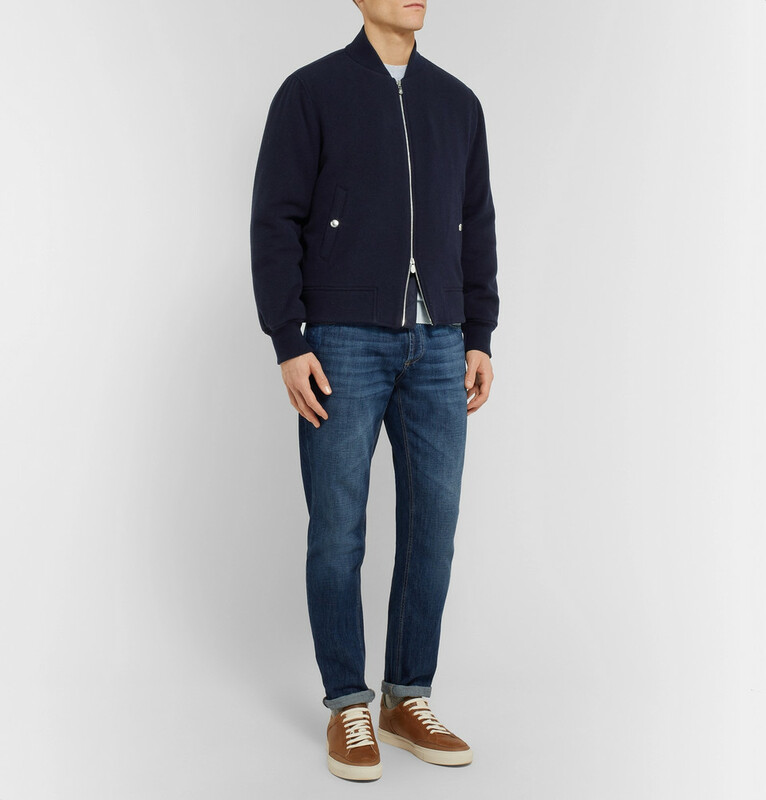 Managing to combine classic cuts with up-to-date designs, a bomber jacket offers a stylish lightweight alternative to a heavy overcoat. The New Season AW18 Bomber Jackets from MR PORTER include a superior selection from well-known luxury Italian Labels, lifestyle brands and American outerwear specialists. 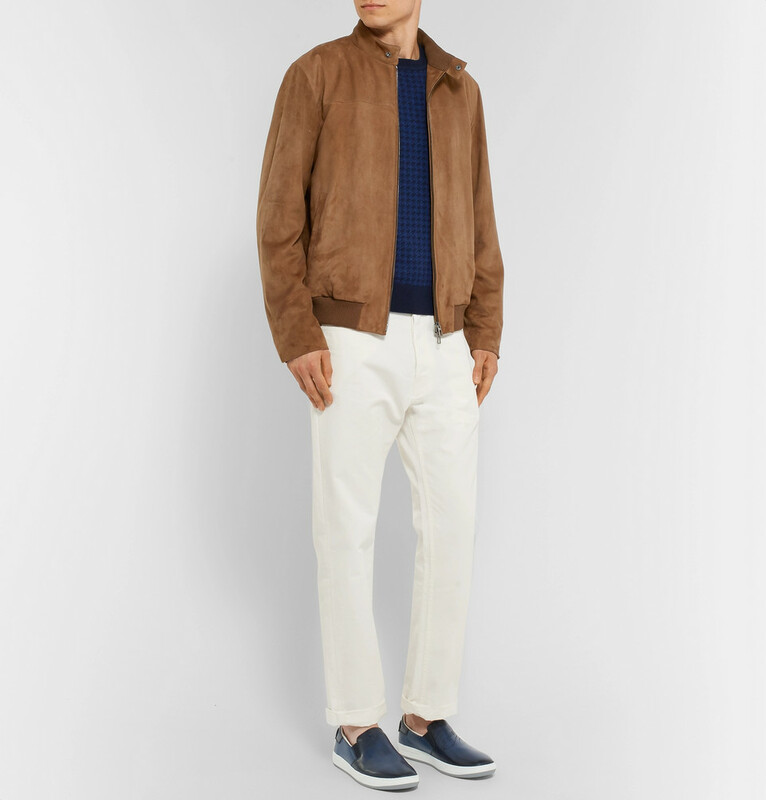 From luxury Italian fashion label Loro Piana who specialise in high-end cashmere and wool garments comes the Rain System Suede Bomber Jacket. 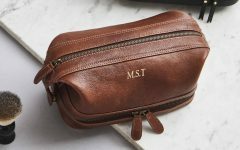 This investment piece has been crafted from a light-brown suede which has been treated so that it can be worn come rain or shine. Featuring cashmere knitted side ribbing and virgin wool lining you simply won’t want to take it off and thanks to its weather-proof design you wont have to! 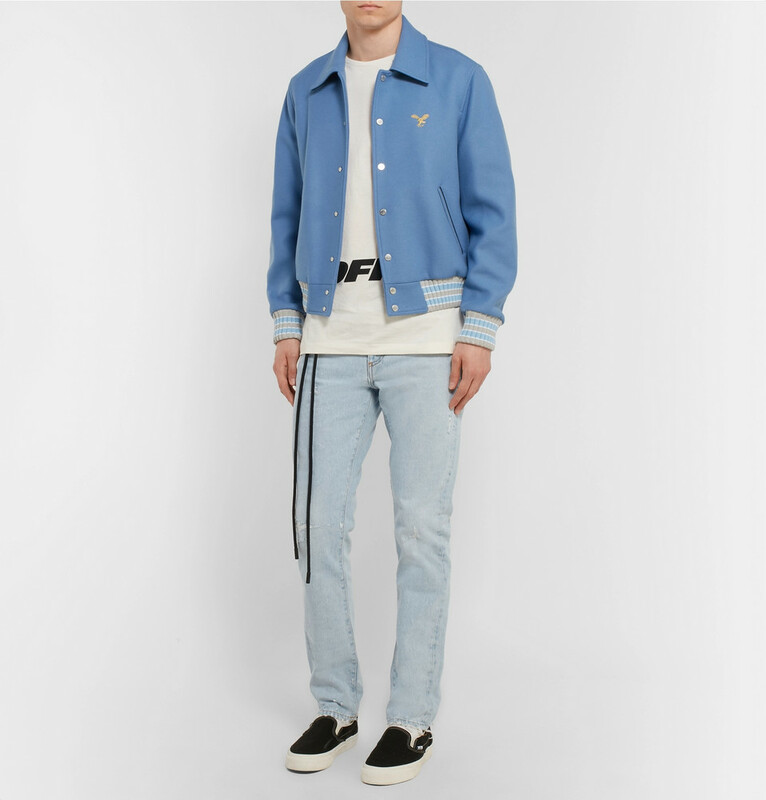 An Italian Cult Streetwear Fashion Brand founded by American designer and Louis Vuitton Menswear Artistic Director Virgil Abloh, Off-White offers striking colours and cuts with a focus on freshness and a little 90s style thrown in to evoke nostalgia. 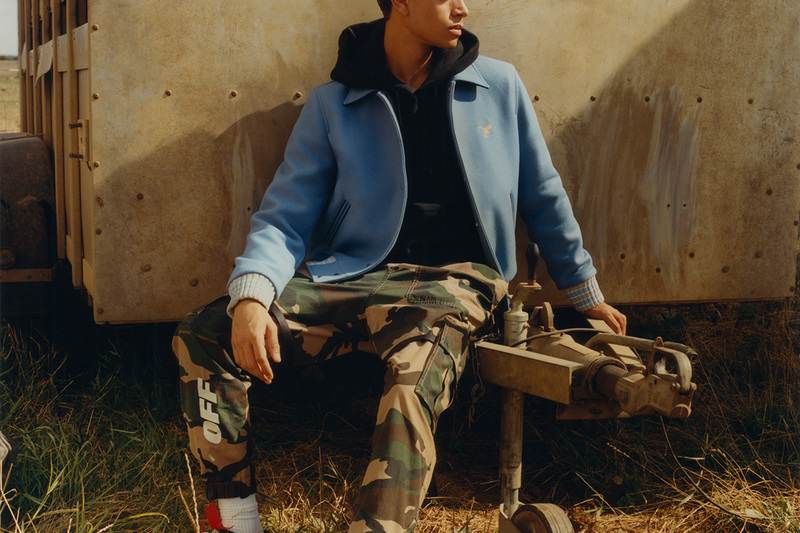 The Embroidered Bomber Jacket has been crafted in a stylish dusty-blue wool-blend felt with stripped side ribbing and cuffs, and a gold eagle motif making it reminiscent of a college football jacket. Italian fashion designer Brunello Cucinelli offers luxury garments made from exquisite fabrics created to truly withstand the test of time. 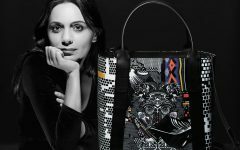 But perhaps what is even more impressive is his eponymous brand’s story and ethical approach to business, operating from a castle in Umbria, Italy, the company donates 20% of its profits to charity and pay their workers 20% higher than the industry average. A Brunello Cucinelli jacket isn’t just an investment piece its a lifetime commitment to a label that you will fall in love with. 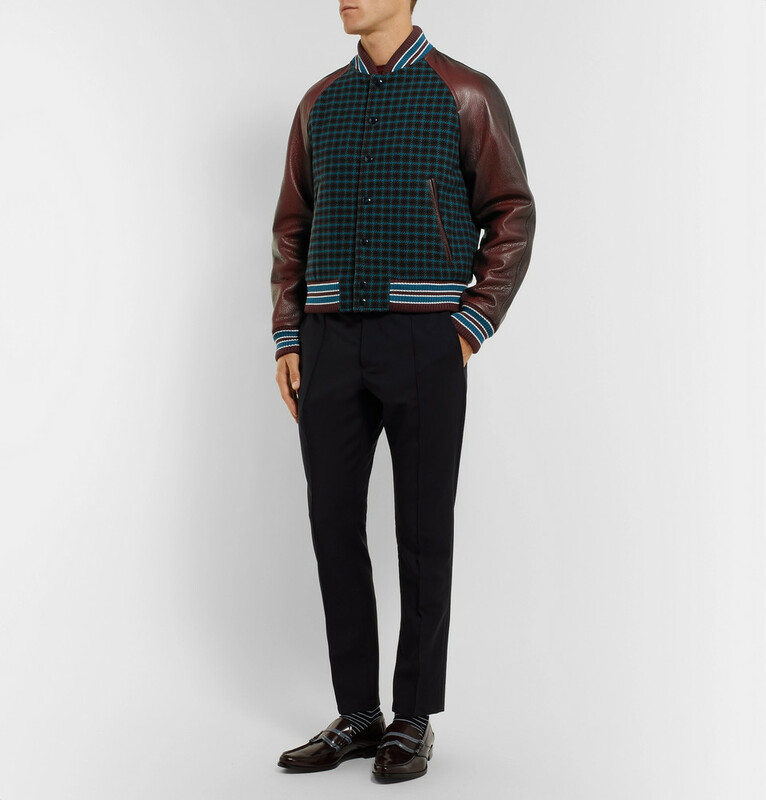 Featuring heavily at Milan Fashion Week, checks will be bang on-trend for AW18, and, this stylish retro-inspired bomber jacket will be leading the way, as you would expect from world renowned Italian Fashion Brand Prada. We love the mixed materials which break up the pattern perfectly and the eye-catching burgundy and teal side, collar and cuff stripes. Based in San Francisco outerwear specialists Golden Bear have been handcrafting Men’s Bomber Jackets since the 1940s. Offering timeless sportswear like the black virgin wool-blend and leather bomber jacket, the style is understated cool, casual and masculine.